Like you claim, then speak in rhyme! We have generations of scandal! On your sleeve and pack a hearty punch! Speak the word but donít forget the source! Commanded the world into existence! And the word was with God and the word was God! If you breathe the breath of God then speak the word! SPEAK THOSE VIOLENT THOUGHTS THAT EVEN THOR NEVER THOUGHT! Or speak those silent thoughts that even angels have forgot. Hunting down the gazelle of my being. I’m talking about you Gabriel, Lucifer! And realise that they are more than just a Facebook profile? While Desmond was shooting his mouth like a 2-2. Apologies white folks for any ricochet. 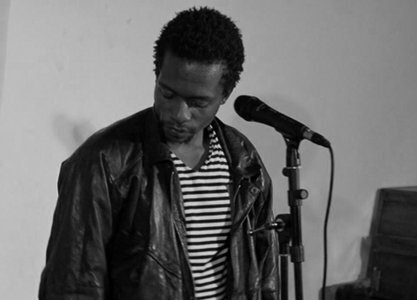 Philani Amadeus Nyoni is a Zimbabwean poet, short story writer and actor. His writings have been published in newspapers and magazines including The Sunday News, Zimbabwe Metro, South Africa Metro, Consciousness.co.za and Ghana Poetry Foundation. In 2006 he was awarded a First Class Award in the ‘Girls’ College Literary Competition, the following year he was awarded ‘Honors’ and won the Best Poem Award in the senior category. In 2010 his poetry was read at a cultural night in Wales organised by Kushinda Publishing, in the same year he co-wrote and acted in Cletus Moyo’s stage play titled And Now We Speak. He took part in the Drama For Life Festival in South Africa where he was part of the ‘A Lover And Another Poetry Slam’ where he represented Gauteng in the national championships. In 2011 he co-wrote an opening act with Simo Mpapa-Majola for the festival. In that year he also featured in Lindela, a short film written and directed by Lilly Million about Lindela camp in South Africa where illegal immigrants are held before being deported to their respective countries. In 2012 he was part of the team that resurrected “Mlom’ Wakho Poetry Slams” in Bulawayo which was the second poetry slam in Zimbabwe after ‘House Of Hunger’ in Harare. He took part in the ‘Breaking Barriers Poetry Slam’ held in Harare during the Shoko Festival and also shared his works at Intwasa Festival. He is working with John Eppel as an editor on Philani’s first book, a forty-five poem anthology entitled Once A Lover Always A Fool.